So 2017 has finally arrived and with it comes the whole "New Year, New Me" (God I hate that saying). January sees gyms bustling as everyone has decided this is the year they will get fit, however by Easter thousands have given up trying to achieve their goals and the gym has gone back to it's quiet self. So instead of being part of the thousands who give up, I thought I'd share with you my top tips to help you stay motivated not just in January but for the whole year so that 2017 is your best year yet! 1. MAKE YOUR GOAL SOMETHING YOU REALLY WANT! The goals you make should be things you want. You need to want to do it for yourself and not your friends, family or partner. Do it for you! If your goals are things you really want to achieve, you'll have more drive to make them happen. There's no problem making yearly goals, I myself have a few. However, creating over ambitious goals will usually end with you throwing in the towel when not achieved and will leave you feeling unmotivated. 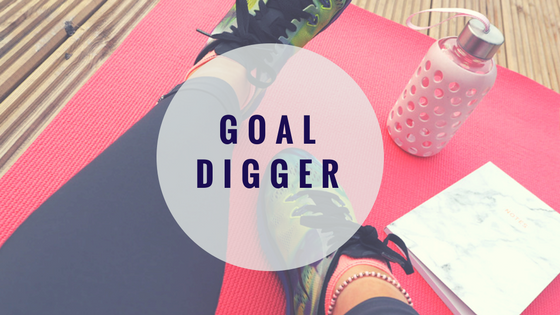 Whether you want to become fitter, stronger, lose weight or run a marathon be realistic and make small monthly goals that will help you achieve your final goal. Smaller goals will be easier to achieve and will help you stay motivated. The majority of fitness goals are most likely to involve the gym! So first things first, create a plan and most importantly create one you enjoy! Work out how many times a week you can realistically go to the gym, what days these will be and what exercises you will do once there. Remember to update your training program every 6-8 weeks as by this point your body will start to become familiar with the exercises and you'll start getting bored doing the same thing day in, day out. There is no harm in treating yourself once in a while, so make sure you don't deprive yourself. By that I don't mean it's acceptable to eat a family size bar of chocolate everyday, but by letting yourself have a small treat every so often it's more likely to stop you from overindulging or giving into your cravings. The treat you give yourself doesn't have to be food related, it could be a spa day, a manicure etc. When I reach my own goals I treat myself to new activewear (any excuse) as it motivates and pushes me to the next level. Your body can be whatever you want it to be if you're prepared to put the work in. Yes there will be days when you don't feel like training and can't seem to move from the coach, but those tend to be the days you have the best workout. Reaching your end goal may be a slow process and there is no magic pill but what I can tell you is that it will be worth it in the end. Nothing worth having comes easy, so instead of being one of the thousands who give up their fitness goals, make 2017 your year to smash them! !